Digital Archivists: Doing or Leading the Digital? I’ve been enjoying Jackie Dooley’s recent series of posts looking at the skills and duties that are showing up in job postings for digital archivists. I’m excited to see archives listing these. Staffing up illustrates how the issues of electronic records have risen to a significant issue in the minds of the deciders. 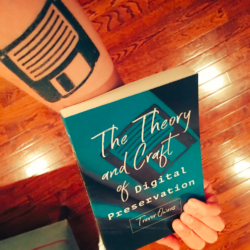 Like many who share this particular job title, I have some complicated feelings about the idea of “The Digital Archivist.” While my official job title is Digital Archivist, I’ve generally added a caveat. 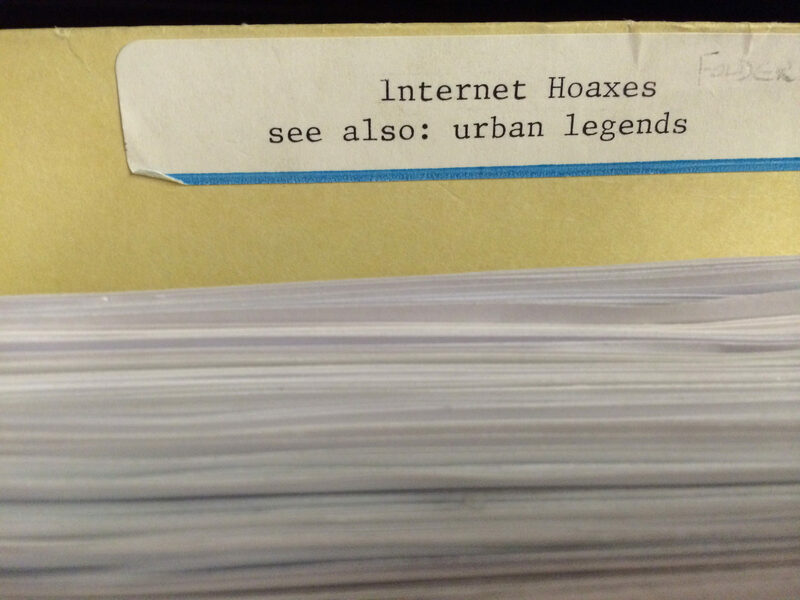 When I encounter someone else with that title, I often go on to explain that I’m more of a meta-digital archivist. That is, most of what I do is about policy, strategy, and standards; establishing and documenting practices, and collaborating to document and codify emerging practices. However, I’m becoming increasingly convinced that most of what I do is actually largely what digital archivist jobs should be doing. Digital archivists should not the people who do the digital stuff. Everybody (including the digital archivists) need to pick up the skills necessary to work with digital records. Instead, digital archivists should be the people who are hired to lead the digital stuff. I will elaborate on what I mean by this a bit more. I think my main issue with the idea of the digital archivist role is that I want to answer yes to two questions that some folks might imagine to be directly opposed to each other. Should all archivists be able to work with digital materials? Yes. In this sense, all archivists must become digital archivists. It’s just a part of ongoing professional development. Digital records are not a niche area of material. Digital records are increasingly just a part of the materials archivists need to be able to process. I think some of Rebecca Goldman’s tweets on this subject illustrate the point. Other fields haven’t hired digital waitstaff, digital nurses, digital journalists, or digital lawyers to deal with the challenges of professional development around technology in their fields. 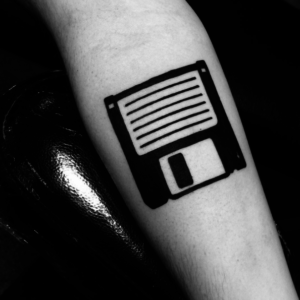 Then, does it make sense to have digital archivists as digital specialists? Yes. While everybody needs to have a basic capability, it does make sense to be cultivating leaders and specialists. In this sense, I think the digital archivists jobs are best thought of as having someone who devotes their time to continually 1) figuring out and refining digital process, workflows and tools, and 2) teaching the rest of the staff the techniques and processes they are developing. This means ideally digital archivists straddle a leadership and practice role. Ongoing Leadership in Digital Work: Ideally, we all become educators in this future because the only likely thing to stay constant is going to be change. We aren’t going to just establish the new “digital” practices and be done with it. The nature of digital technologies are continually shifting dramatically. That is, the shift from storing information on devices to thin client cloud set ups is frankly has big as the shift from paper to hard drives. The first sixty years of digital technologies has illustrated that there is every reason to believe that the technological mediums and nature of records will continue to evolve frequently and we are going to need responsive practices to continually evolve with them. An example from a different field: I think we can look to the idea of the “School Based Technology Specialist” (SBTS) role as a way to think about this. Instead of hiring someone to be the “computer person” for each of the schools in Fairfax county school district the district created the SBTS role. The idea being that across the schools teachers need to be making better use of computing technology. So it’s not about hiring someone to be the computer person but hiring someone who is functionally an administrator to build capacity for teachers to incorporate digital technology into their practice. In this vein, SBTS are described as trainers, liaisons, managers, troubleshooters, consultants and collaborators. I think the parallels to the digital archivists role are rather clear. Now, schools and archives are still rather different, so it doesn’t necessarily map over straight away. But still, I think the parallels are meaningful. The digital archivist role can be thought of as a leadership role for establishing practice. I think organizations would do best to think of how digital archivists can be empowered and given the authority to lead work on digital materials. Curious for others’ thoughts on this. Terrific insights, Trevor. 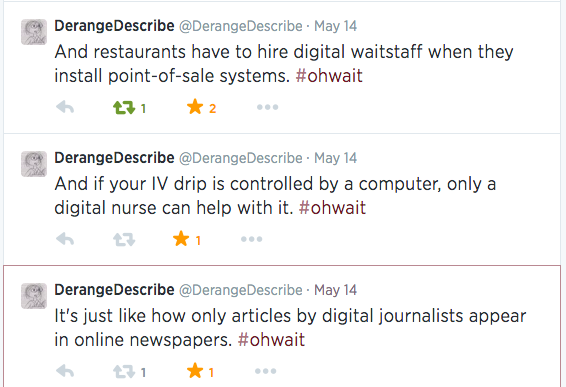 A few observations based on my review of job ads to prep for my blog posts. First, and most importantly, I was impressed at how many of the ads made it clear that implementation was an interdepartmental mandate and that the person hired as digital archivist would play a leading role in making that collaboration happen. That leadership that you describe. Second, several ads specified that the digital archivist would be responsible for training others. A good sign. Third, in trolling for ads I saw (but didn’t include in my “survey”) those that were for “regular” archivists but indicated that the person hired would work with materials in all formats. Good to see those. I’m guessing it’ll be a while before digital archivists are solely the leaders/trainers/coordinators but not the doers. At this point, there aren’t enough other archivists trained to do the doing. How long will it take before “digital” leaves the job titles? Maybe it’ll stay for the long term due to the ongoing need for the leadership role that you so rightly describe. It’s possible that we’ll see titles such as Digital Library and Archives Coordinator once the archival needs are entrenched in the organization’s broader activities. Very interesting, Trevor (and Jackie), and I absolutely agree. The humorous tweets are an excellent illustration of the issue. As someone involved in “digital humanities” twenty years ago working with faculty integrating information technologies in second language acquisition learning/pedagogy/research and later integrating digital literacy learning outcomes in undergraduate education through the Technology Across the Curriculum (TAC) program at George Mason, digital “skills” development and integration is imperative. Unfortunately, though, developing this capability is actually much more than “skills” development and requires some deeper thinking about integrating digital technologies in almost everything we do. The disruption that occurs (business practices, workflows, job responsibilities, etc.) is so threatening I believe “leadership”, while certainly necessary, isn’t enough. Even with “authority” and mandates it’s simple human nature that is reluctant to make changes. I’m familiar with the SBTS role you describe and is akin to the role I had with a large foreign languages department. Similar to the notion of the “embedded” librarian, my experience has shown that the extent to which we are closest to the point of need and integrated with existing processes/workflows, the easier it is to achieve integration. I would also add that being willing to help with all things IT builds good will and may also provide the pretext for solving strategic issues. For example, I think Help Desk or IT support for faculty desktops or virtualization could be an opportunity for discussing or apprising faculty of university support services for research and establishing common or best practices for organizing/storing faculty research or other digital scholarship. Training and scaling for this type of personalized support are real challenges — as well as weathering the inevitable political storms. Sheesh … I’ve been singing this song since we saw the rise of “digital librarian.” Just calling something “digital” doesn’t really change what we have to do on a daily basis. Mr. Trevor, I have more questions than comments. I am part of a First Lego League team and we are working on a project “How to make learning History less boring and more memorable”. We have visited and played “Play History”. While we thought the games were interesting, we had questions. We contacted them and they forwarded your contact info. What was your role in “Playing History”? We can see through your site, you target students are college age. Have you considered reaching a younger generation perhaps, middle schools? Grades 5 – 8 log many hours playing video games, most of them take place on battlegrounds, are role play games do you think this these games could be used to teach history? Most schools now have digital devices for student to learn, smartboards, tablets, internet access, and all are used to teach math. A few science but practically no digital devices are used to teach history. Do you think digital archivist working on historical documents can digitally rein-act historical scenes for teaching history before it becomes Humanities in college?